This is a meal easy enough to make during the week but, special enough to serve on the weekend! It’s not a twenty minute meal like I’ve posted before, but it took me 40 minutes and the results were worth it. 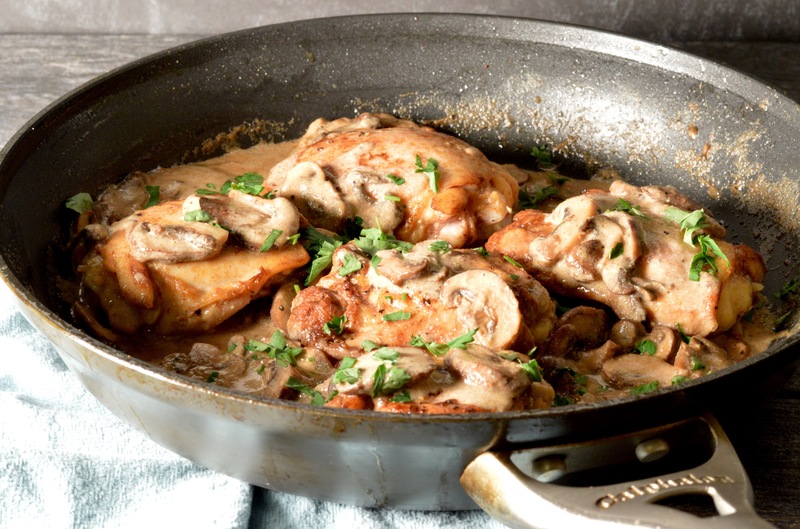 Chicken can get boring after a while, but we keep it in the freezer because it’s reasonably priced, it’s a healthy choice and it’s incredibly versatile! So, this is how we jazz up the chicken! We try new things! So, yes, there is wine in the sauce. I suppose you could replace it with chicken broth but then, it really becomes something else. So, use wine. 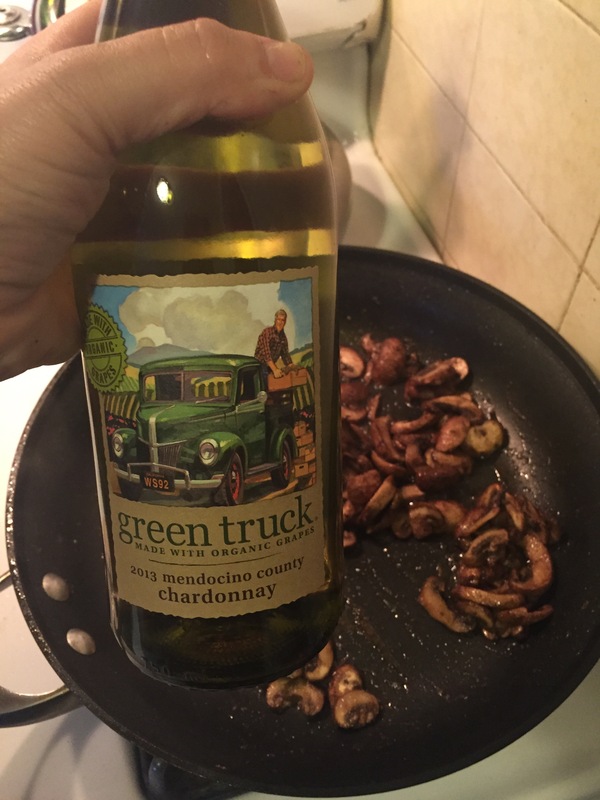 The alcohol cooks off, you aren’t going to get drunk off of it, but DUH that’s why we didn’t use the whole bottle in the sauce! That brings me to my next point, please PLEASE do not cook with wine that is lower in quality than you would drink. The wine for this should be white and not sweet. A chardonnay or pinot grigio should do the trick. Now, pour yourself a glass and get started! 5 thighs, skin removed and seasoned with S&P. Or you could use 2 large chicken breasts, halved. Melt butter in a large skillet or saute pan. 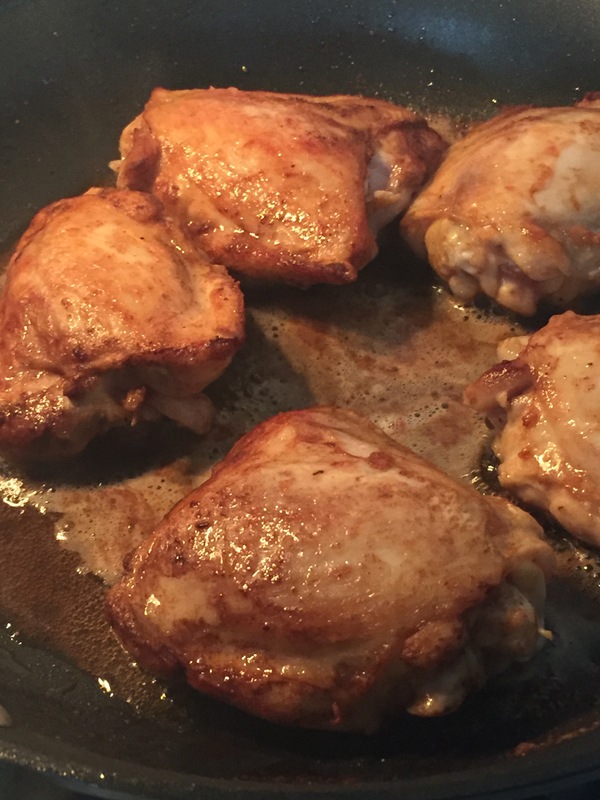 Once hot and starting to brown, place chicken pieces into hot pan and get a good sear, about 4 minutes on each side. Romove to a plate and set aside. 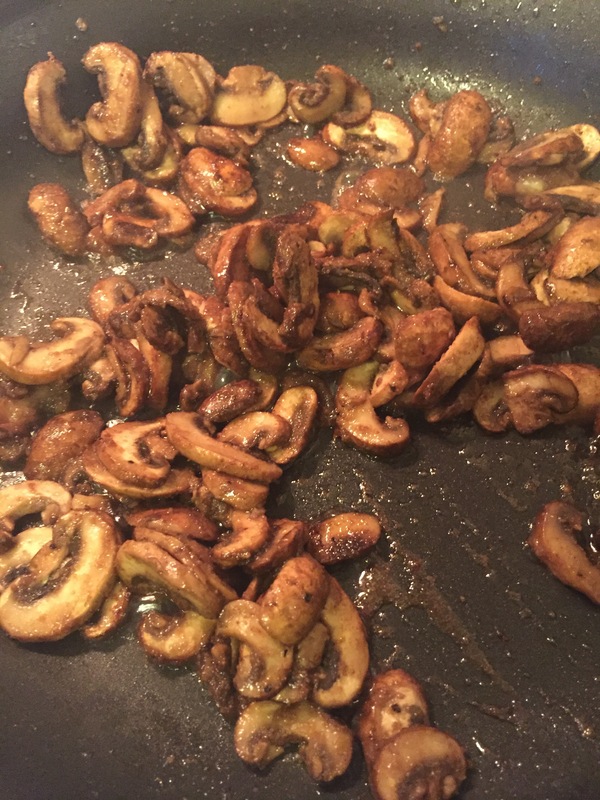 Place the garlic and mushrooms in the skillet and saute them with the butter. 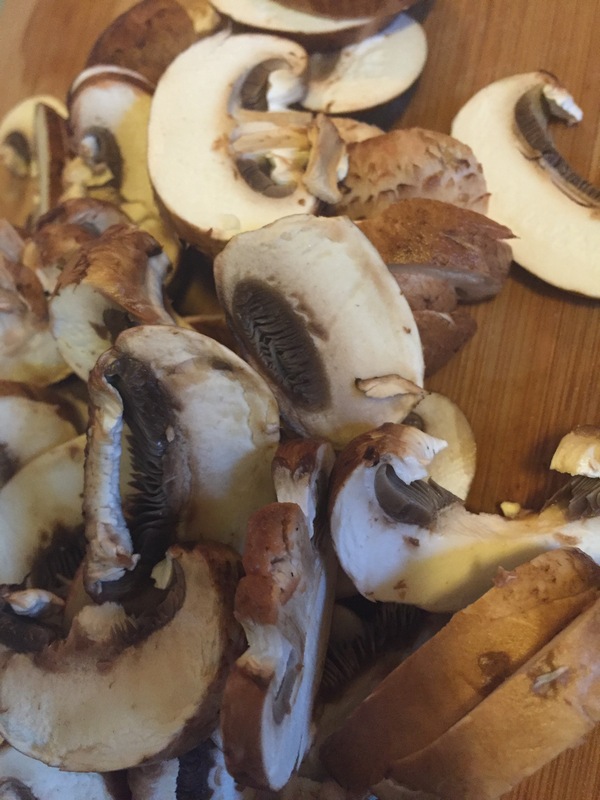 Don’t rush this step, get the mushrooms good and browned. They will release a good amount of liquid which will provide an amazing depth of flavor. Now, add about 2 tsp flour and saute for a minute more. Add the wine. Let the alcohol cook off while stirring. After about three minutes add the cream. Give it a quick stir and put your chicken back in. Cover and let it bubble for ten minutes or so. The sauce should be thickened to the consistency of a thin gravy. If you have the consistency of biscuits and gravy, gravy, add a bit more wine. Getting that nice outer crust with a solid sear! Pretty little criminis ready to get all saucy! Look at the rich juices! I know it doesn’t look like a lot but it packs a flavor punch! This is the wine a used. A midrange bottle. Did the trick and tasted great! Serve over mashed potatoes or rice and enjoy! My boys really enjoyed this tonight and I hope you’ll let me know what your family thought as well!